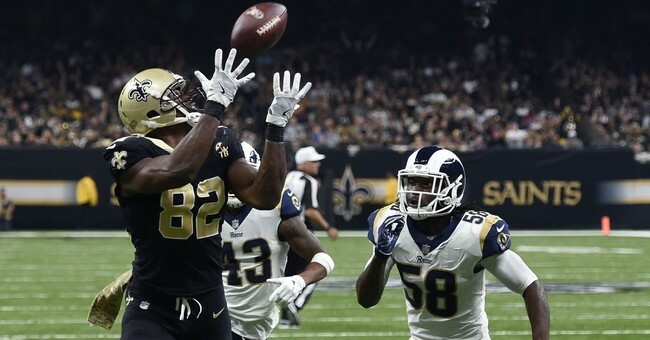 Former NFL player Benjamin Watson had a message for 2020 Democratic presidential hopeful Beto O’Rourke Tuesday after O’Rourke said he thought that abortions in the third trimester – well past the point of fetal viability – were a woman’s decision. Watson thought Beto’s response was “weak,” arguing that O’Rourke should “own” whatever stance he has on ending a preborn child’s life from 28 weeks until birth. The former New Orleans Saints tight end is very vocally pro-life and recently donated an ultrasound machine to the New Orleans-based ministry of Baptist Community Health Services. He also indicated that abortion coverage should be included in universal healthcare. O’Rourke’s apparent backing of abortions past 28 weeks is a significant departure from public opinion and state laws.